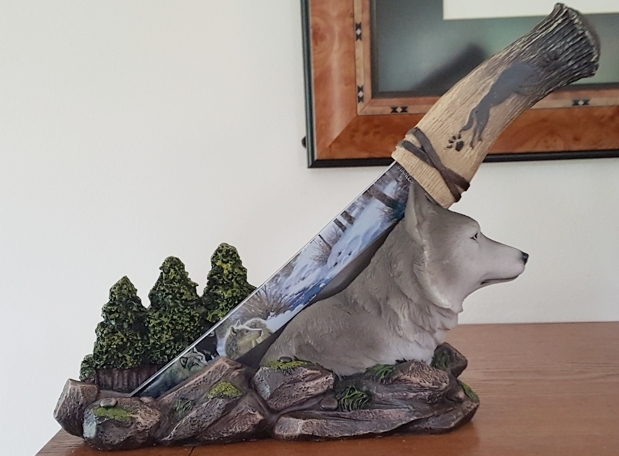 The Wolf Spirit Blade is a unique piece of home décor. The base holder is of a wolf head surrounded by rocks and pines. It is finely detailed, hand painted and fashioned out of poly resin. The knife is for decorative purposes and is made of stainless steel. The handle has a running wolf silhouette and pawprints. 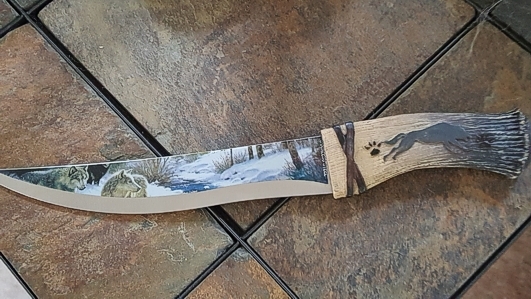 The blade of the knife has images of wolves in a snow covered forest creek scene. Comes in a pictured gift box.